…exceptional…I cannot recommend it too highly. Gál Wood’s deft handling of the orchestral textures is a perfect foil to Briggs’ adroit virtuosity. 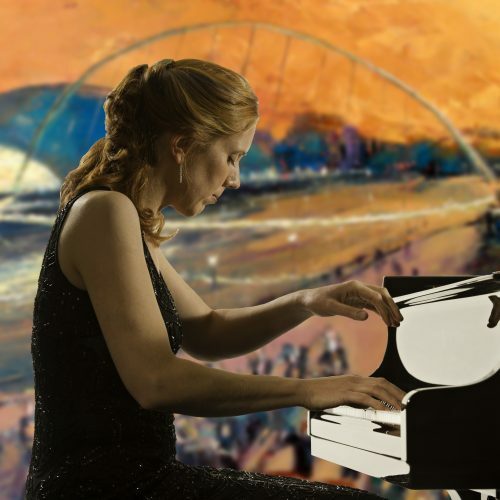 The elegant, wonderfully transparent Adagio is pure delight……the pianist’s pellucid tone is raptly intense… a most engaging score, delivered with real affection and skill. Mozart Briggs seems to have a natural way with Mozart, instinctively shaping the phrases and bringing to the music elegance and aristocratic poise. 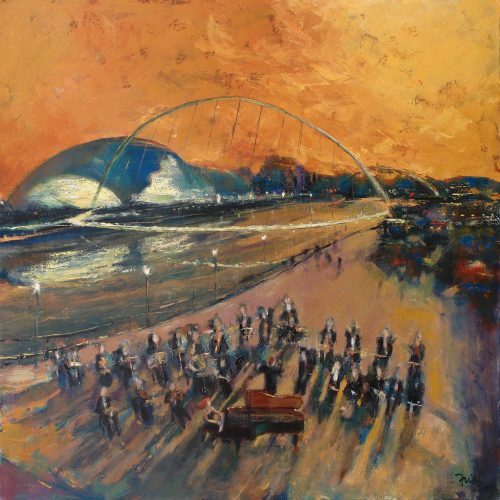 Gál Sarah Beth Briggs gives a wonderfully balanced reading of music that seems familiar- in its classical poise and charm – and strange (much occurs beneath the surface, especially harmonically, that confirms its modernity). 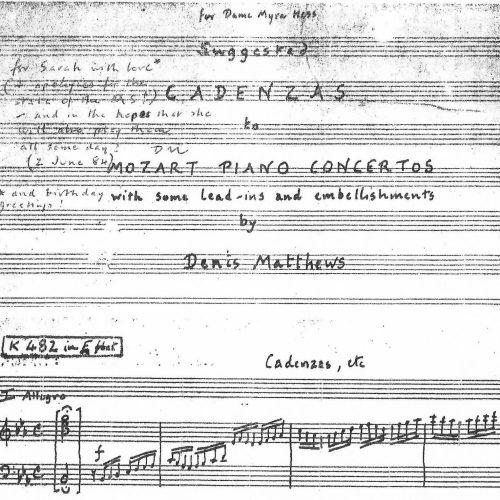 Mozart There is much to enjoy in the Mozart Concerto in E flat…In a nicely relaxed reading, Briggs uses the cadenzas by her former teacher Denis Matthews, rather than Hummel’s as used by Perahia in his classic recording with the ECO. Briggs’ interpretation is not embarrassed by the comparison. Gál A beautifully performed world premiere recording… I cannot imagine it receiving a more convincing account than the one given here. 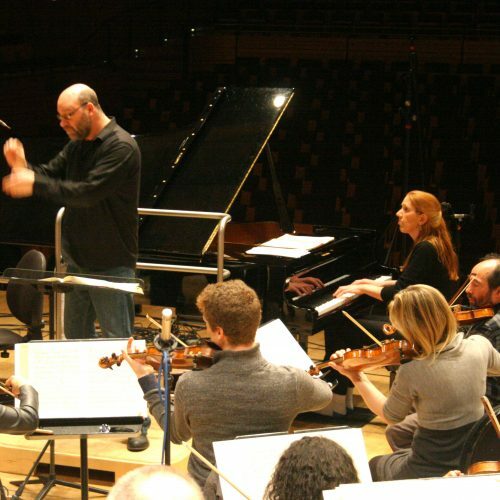 Mozart Briggs is a sensitive Mozartian with an instinctive feeling for the operatic provenance of the composer’s writing that shines through most effectively in the poignant slow movement. Gál Ms Briggs displays complete mastery of and gives her all to the Gál, a first recording. Mozart This is a good Mozart 22nd, radiant and poised. 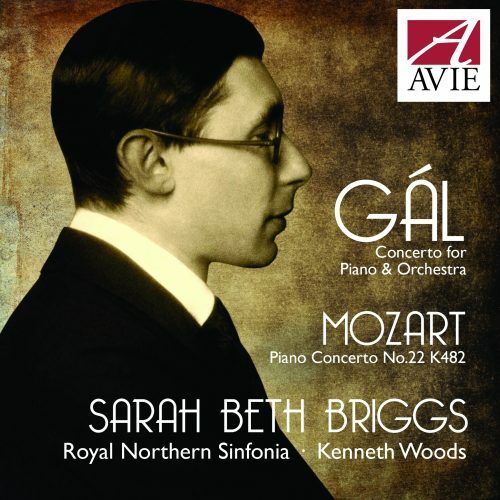 Gál Sarah Beth Briggs’s brilliantly alert and engaging performance, expertly partnered by Woods and the RNS, will surely bring it the recognition it deserves as one of Gál’s major works. Mozart … a marvellously elegant performance that brings out all the clarinet-tinged mellowness, with a heart-stopping account of the C minor second movement. Here, as in the Gál, soloist and orchestra are balanced in ideal partnership, with playing of real poise and purpose…A release that is outstanding in every way, essential listening! Mozart She brings a Clara Haskil-like directness and transparency to Mozart’s gorgeously wind-rich Concerto in E flat K482.